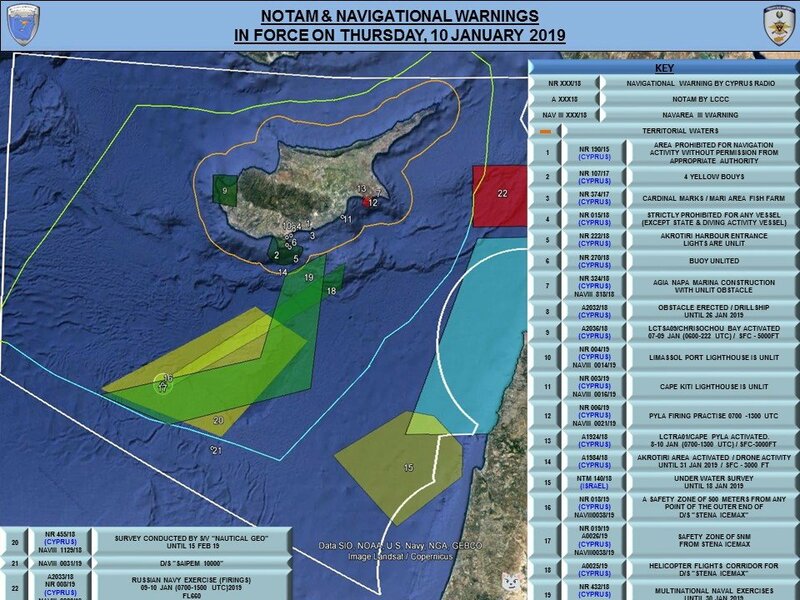 NOTAM and navigational warnings in force around Cyprus for Thursday 10th January: RUSSIAN NAVY EXERCISE (FIRINGS) off the Syria coast. 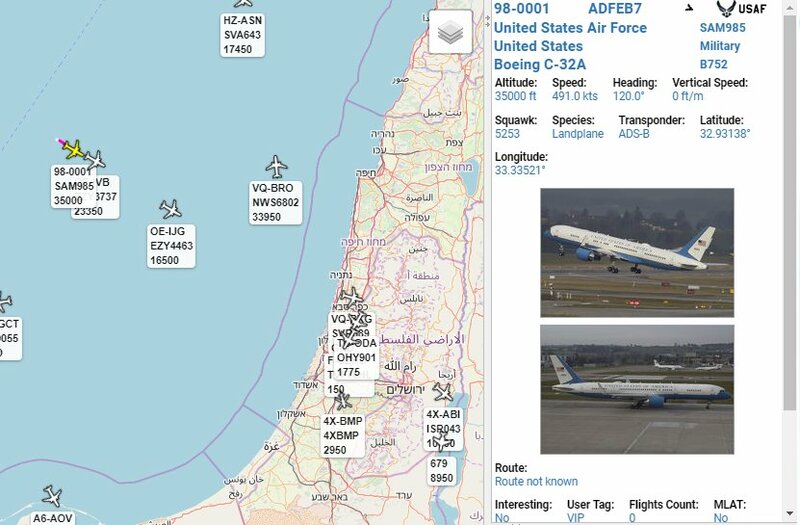 Surface to 66,000ft. [email protected] in Erbil press conference: QUESTION: @RT_Erdogan seems much more much less enthusiastic about withdrawal from Syria that you set as a condition to the protection of the Kurds. Does that put at risk the whole withdrawal, or how are you going to handle this. [email protected] "What I said last week is these have been folks that have fought with us and it’s important that we do everything we can to ensure that those folks that fought with us are protected. 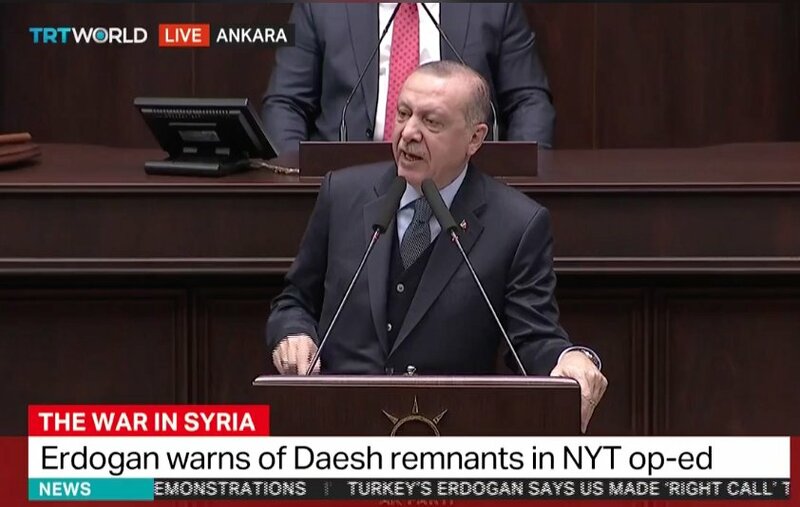 And Erdogan has made commitments; he understands that"
Loud explosion rocks the surrounding of Idlib city. 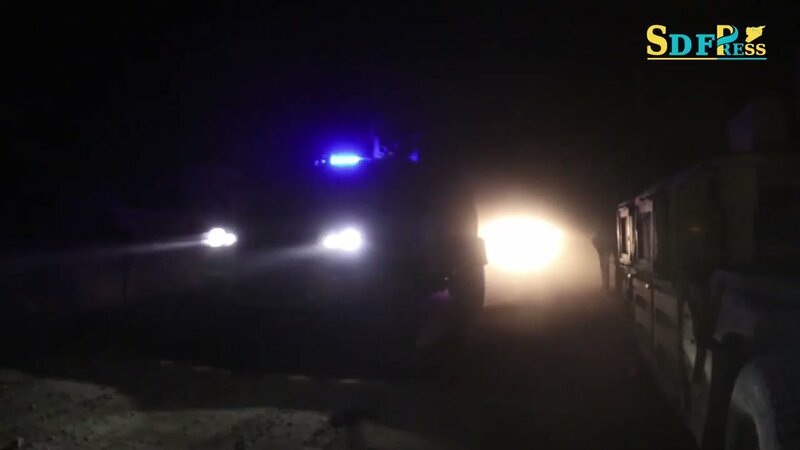 Reports that the blast took place near Msibeen, rural Idlib, as a result of a fuel depot exploding leading to a fire outbreak, firefighters and civil defense head to the scene to extinguish the fire, no reports of injuries. 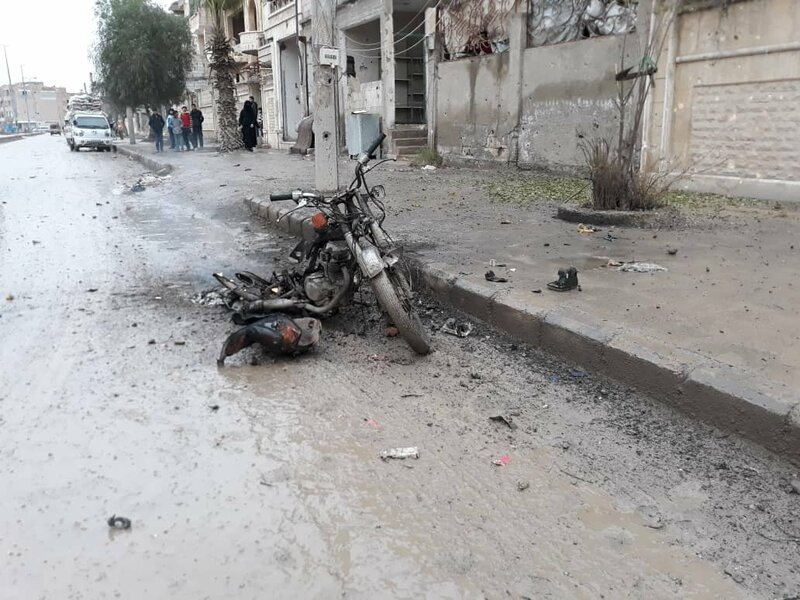 A civilian was shot by unidentified gunmen in the town of Jisr al-Ashghur west of Idlib.  Afrin: Video of clashes between FSA and HTS on the axis of Mount Simeon. 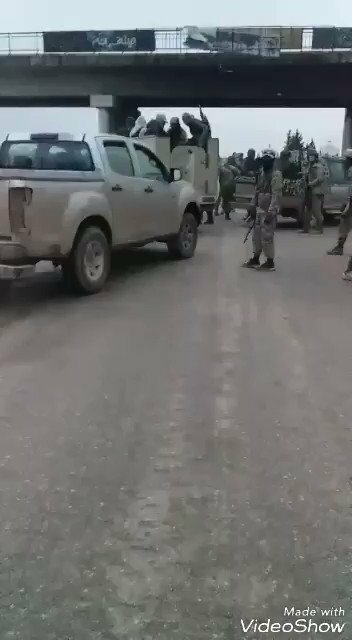 After taking over Sahl Ghab and Jabal Shahshabo areas, HTS convoys are currently going to Maraat al Numan area. 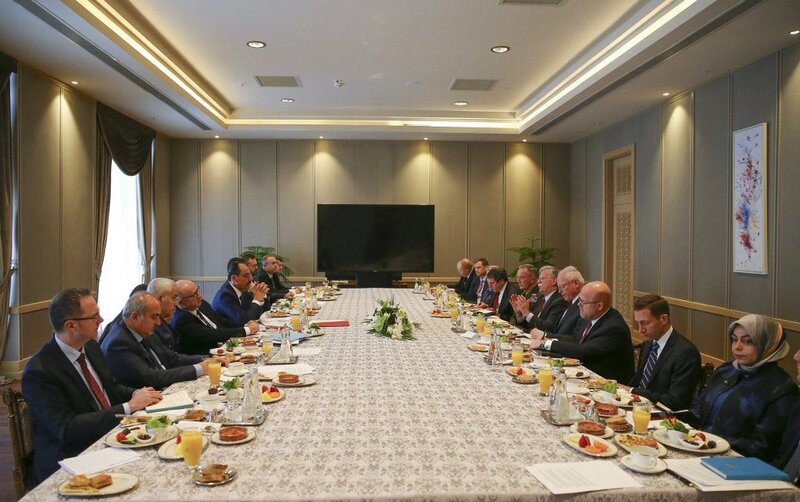 Turkish Defense Minister discusses by telephone with his Russian counterpart recent developments in Idlib and regional security issues under the framework of the Stochi Agreement. 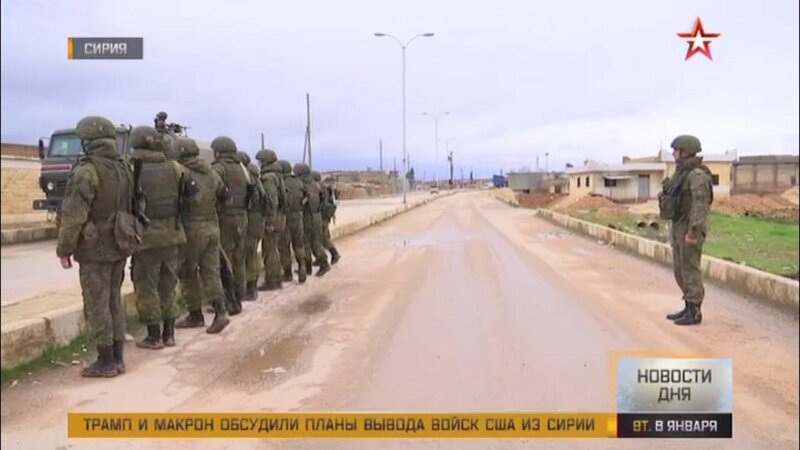 Russian forces abandoned their positions in the village of Abu Dali south of Idlib and stationed in the back lines of the village of Talisia in the eastern Hama countryside. 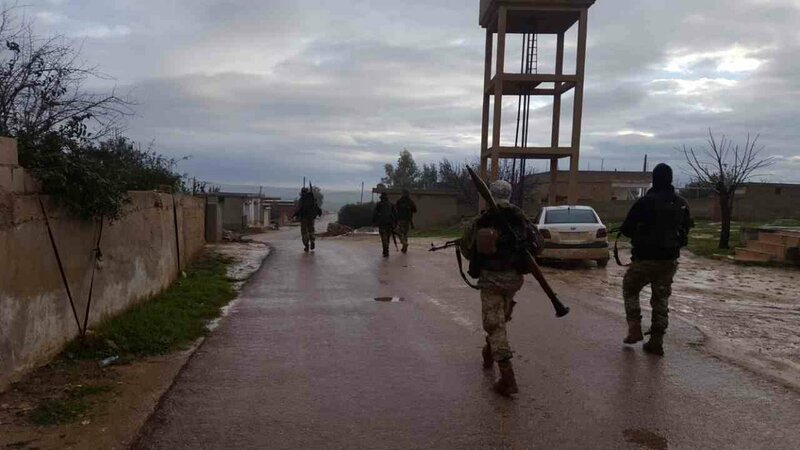 HTS alledgedly entered Basûfanê, an Êzîdî village in the Simeon mountains of Afrin. 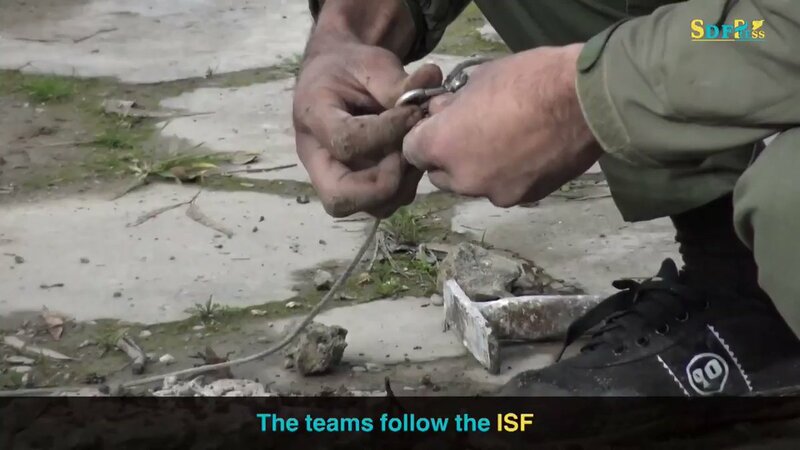 Idlib: NLF destroyed an HTS 23mm cannon. 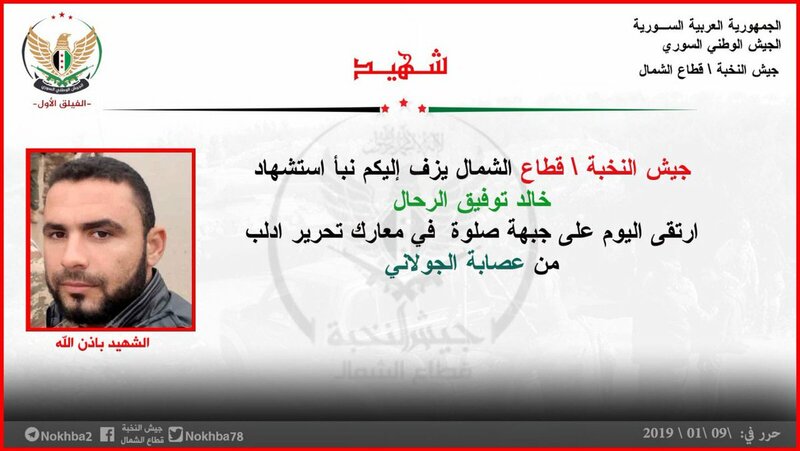 FSA National Army captured at least four HTS fighters in the clashes. 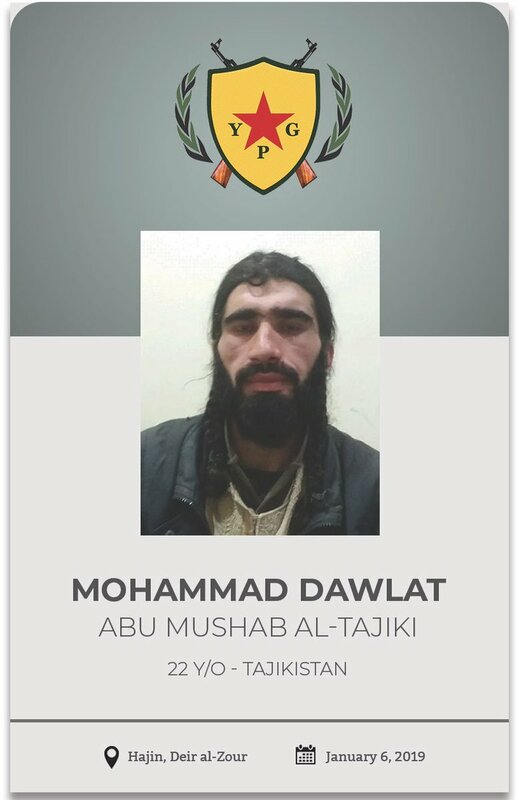 Jaysh al-Nukba, part of the First Legion of the Turkish-backed National Army, just announced the death of two of its fighters in the ongoing clashes near Salwa against HTS. 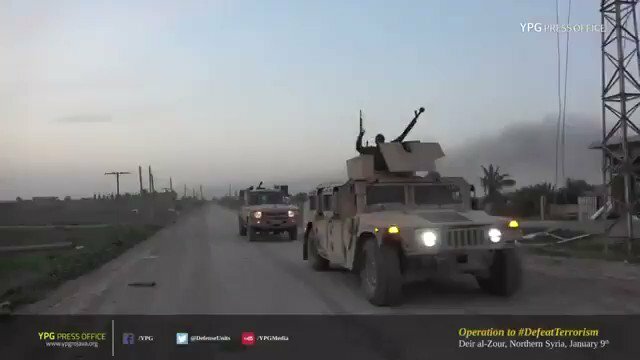 Footage of a US-Turkish Joint Patrol. 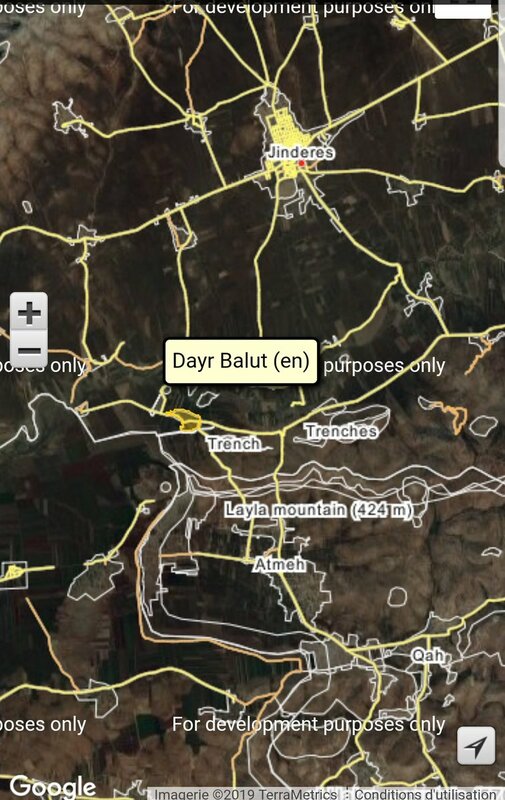 Syrian Foreign Ministry announces contacts with Kurdish units on "Turkish intervention"
Afrin: Violent clashes between HTS and the FSA National Army on the axis of Deir Balut. 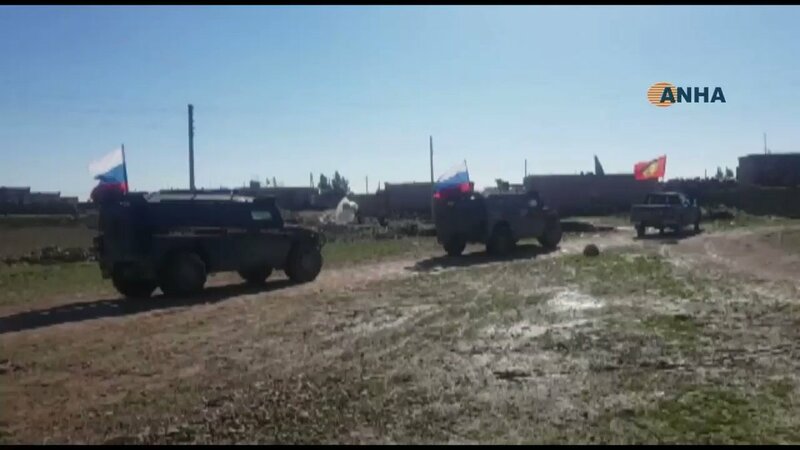 SDF-led al-Bab Military Council and Russian military police reportedly began joint patrols in Arima and villages west of Manbij along the demarcation line with Turkish-backed FSA. 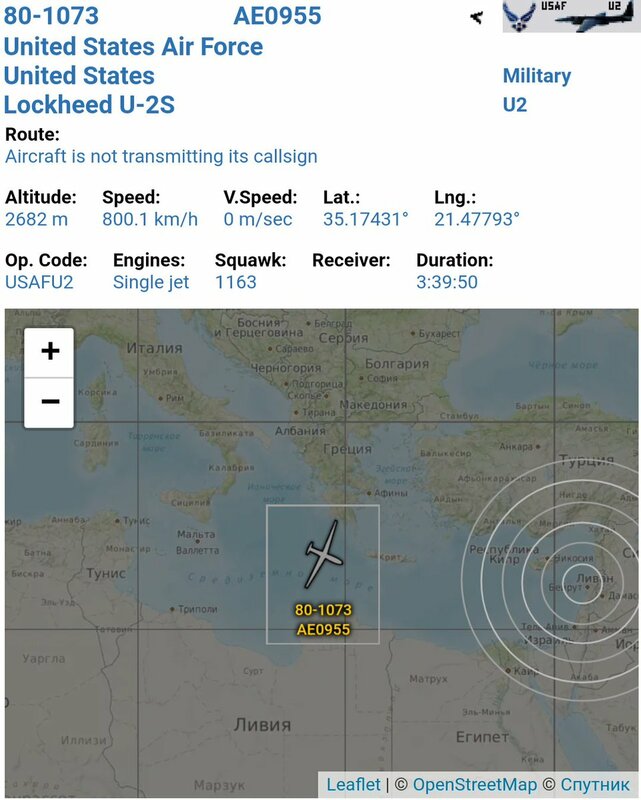 USAF United States Air Force Lockheed U-2S Reg: 80-1073 ICAO: AE0955 HDG SE over Mediterranean. 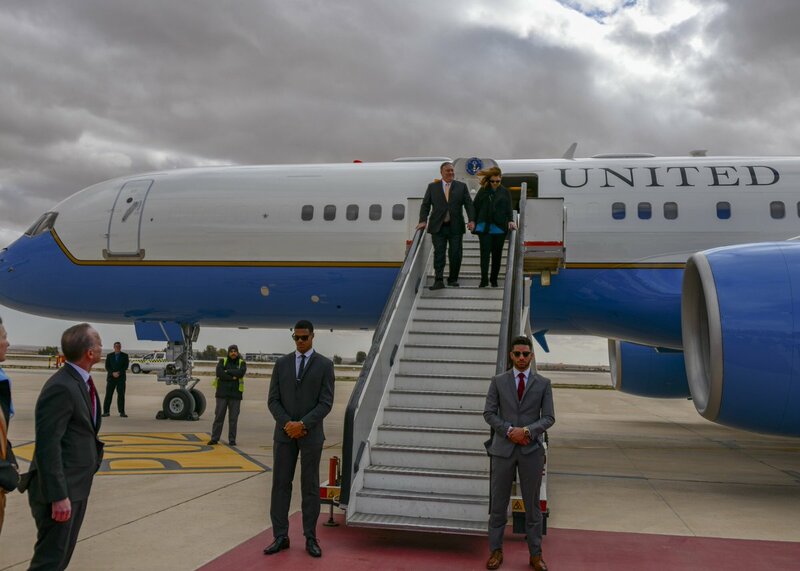 US Secretary of State @SecPompeo has just arrived to Baghdad , Pompeo to meet Iraqi officials include Iraq's PM @AdilAbdAlMahdi to discuss about many issues includes corporation to defeat IS , sanctions against Iran and Syria. Bombardment with rockets and heavy artillery from the positions of the pro-Assad forces targeted the neighborhoods of Latamna, north of Hama. 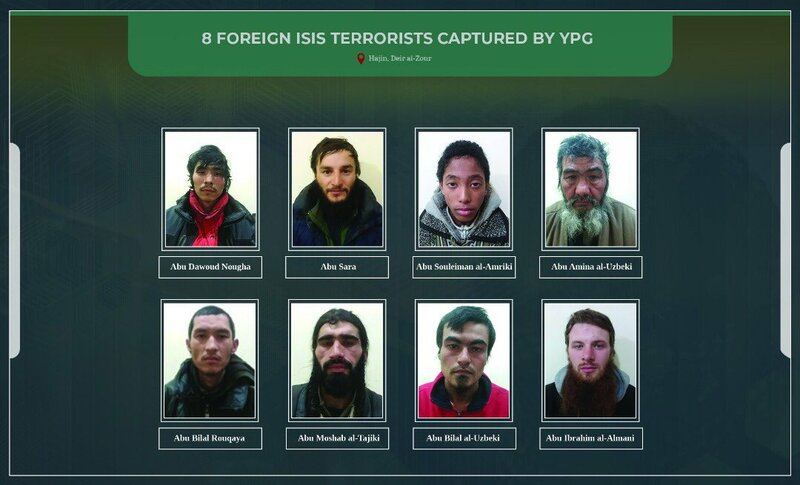 HTS captured the villages of al-Hamidiya, Dukmak, al-Zuqum and Qulaydin in the al-Ghab plain. 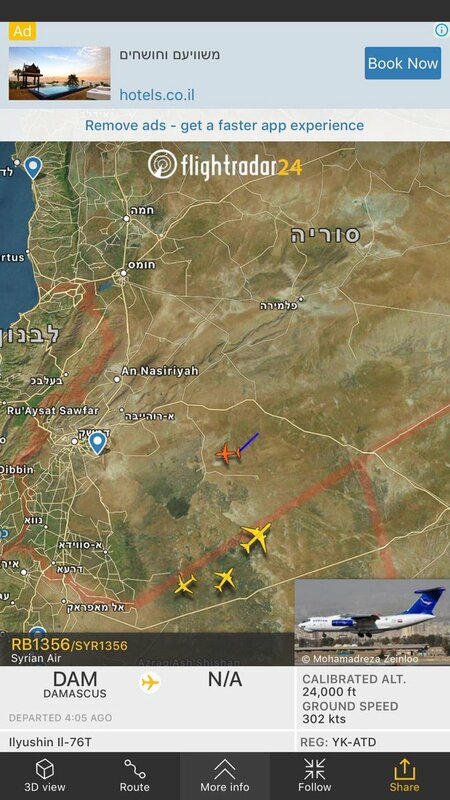 Syrian transport plane has been traveling between Tehran and Damascus for several days in a row. 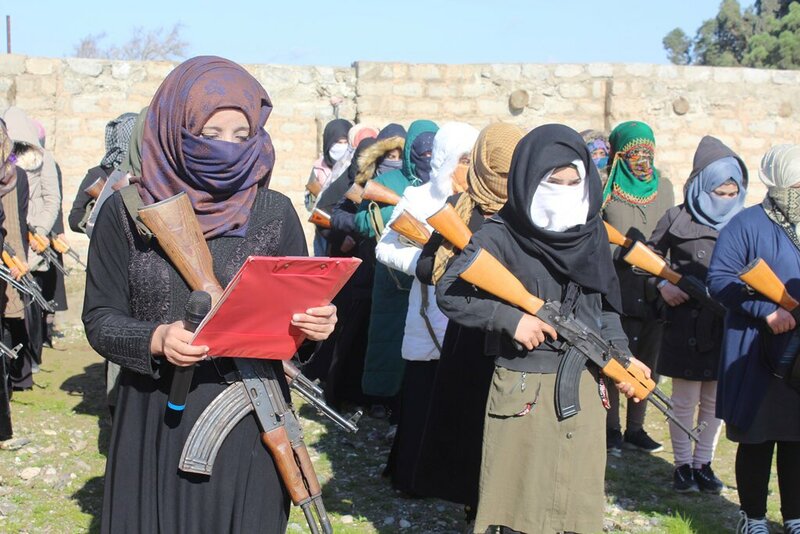 Akar tarafından, "Münbiç Yol Haritası'nın süratle tamamlanarak terör örgütü PKK/YPG'nin bir an önce bölgeden çıkarılması gerektiği" vurgulandı. The new UN envoy to Syria is officially starting his mission. 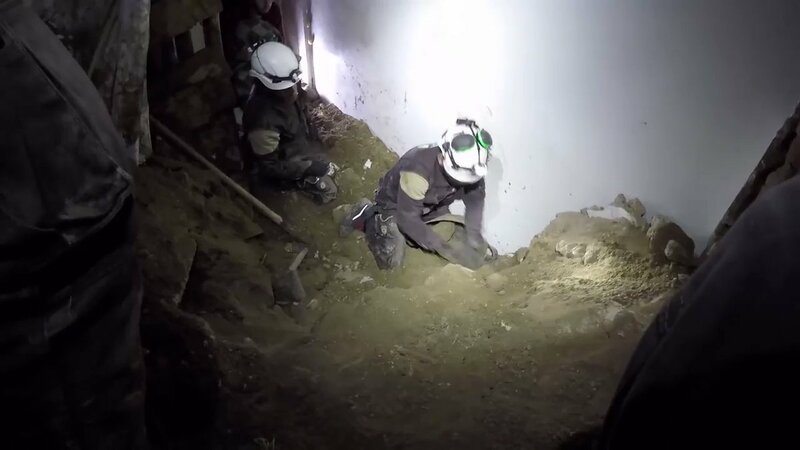 White Helmets teams managed to pull out the bodies of Magda Tufour and her granddaughter, Reem, and were able to rescue 2 people from the same family, after their mud house was collapsed as a result of the heavy rains and floods in Albab camps in Aleppo's northern countryside. 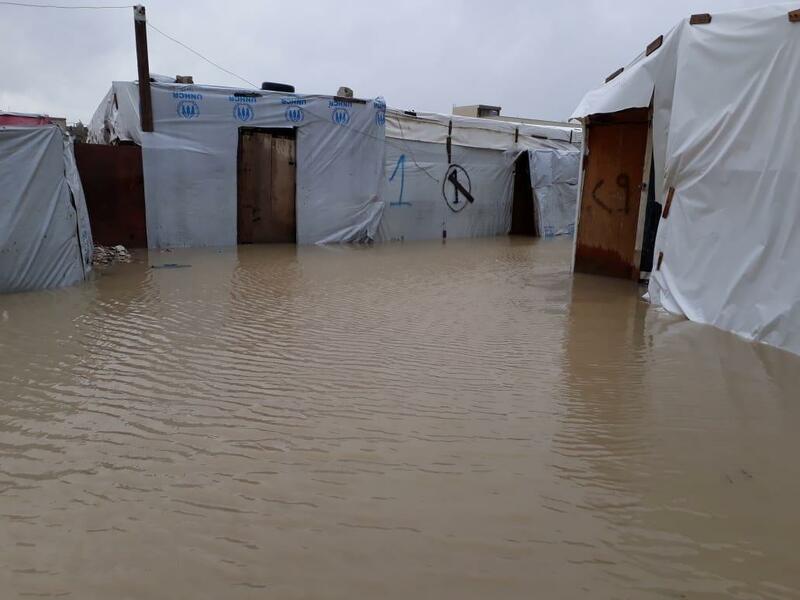 Brutal storm has badly affected Syrian refugees in Lebanon's Bekaa. Tents damaged and destroyed; conditions freezing and uninhabitable. 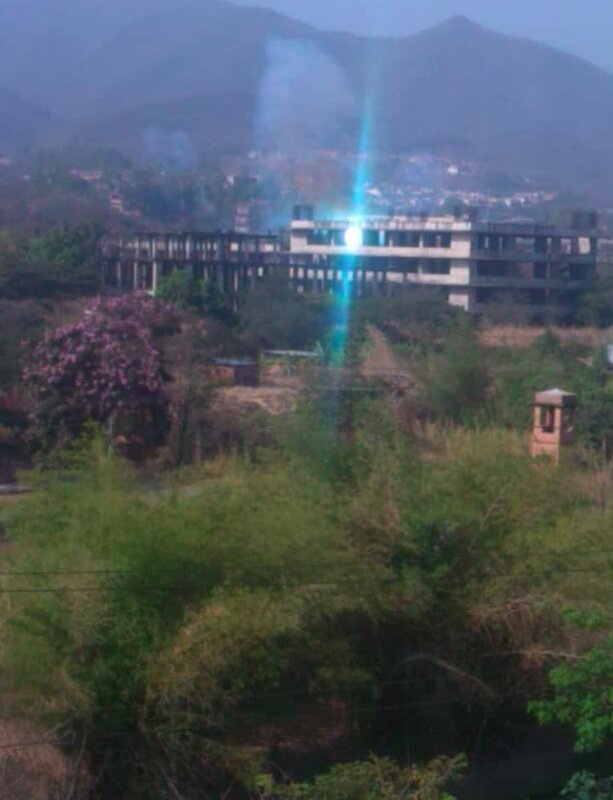 Evacuations from tents to temporary shelters ongoing. Erdogan Spokesman: We will coordinate with everyone (regarding the military operation in the east of the Euphrates), but we will not take permission from anyone. 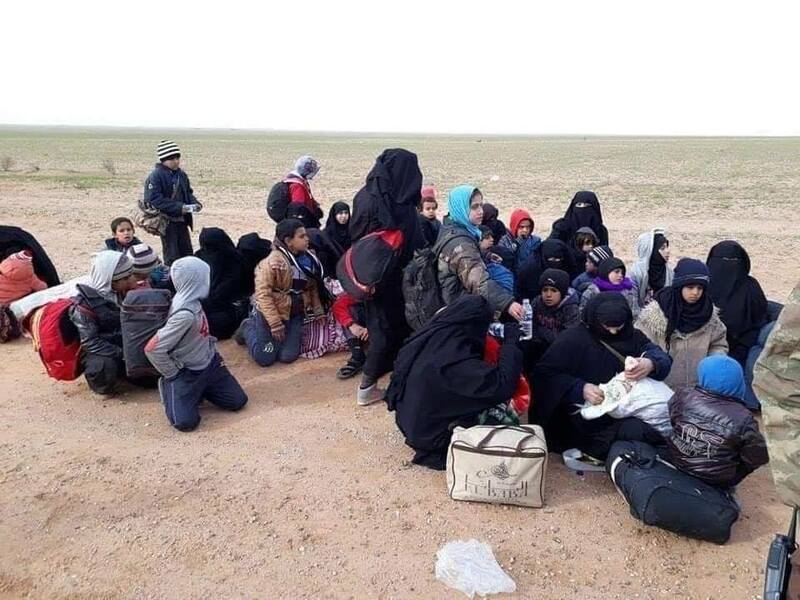 Kalın:"Kürtler de dahil olmak üzere Suriye'de hiçbir sivilin canı ve malının zarar görmemesi için Türkiye üzerine düşeni yerine getiriyor, getirecek"
Idlib: HTS began its assault on the last bastions of the NLF and captured the villages of Abidin, Nuqayr, Termalah and Safwan. SAA reinforcements from southern Rif Dimashq begun to head to Aleppo CS. 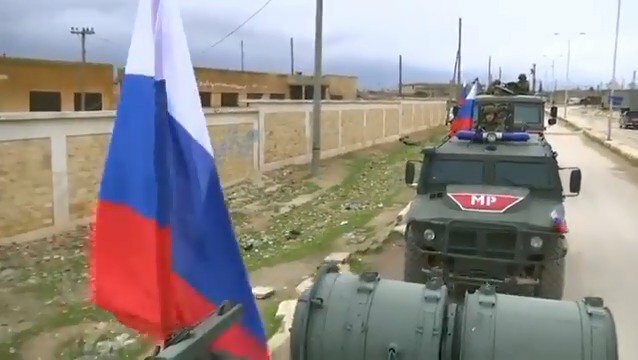 Some reinforcements of the 1st and SRG reach NE Aleppo (Manbij area). 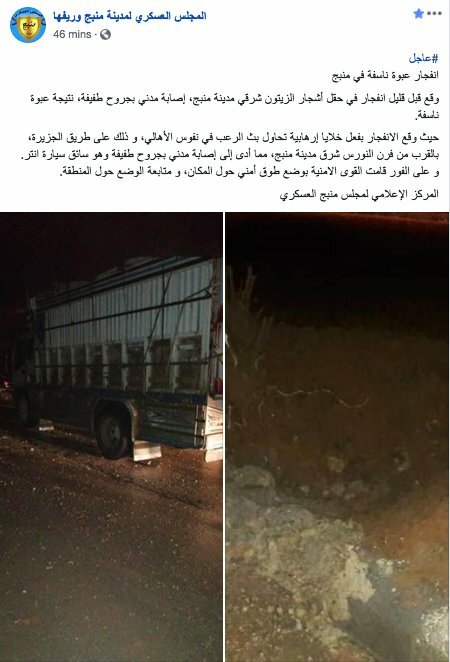 HTS is heading toward Khan Sheikhun in South Idlib. 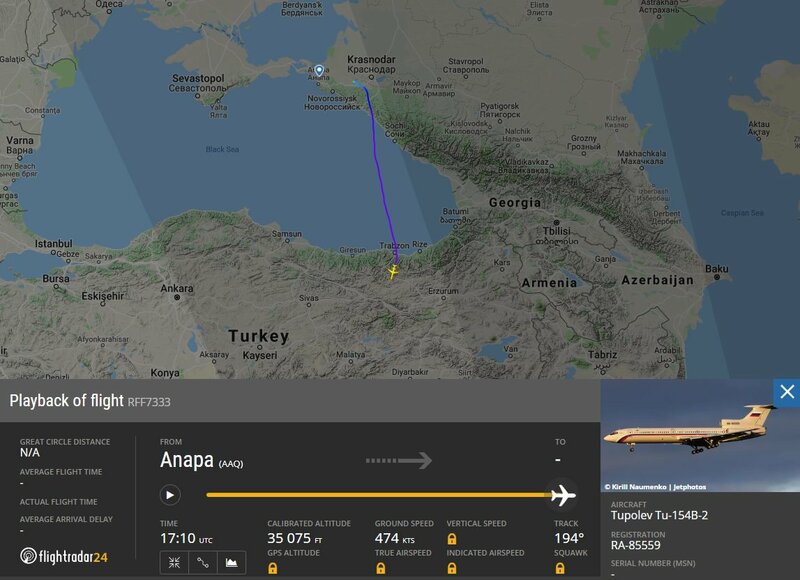 Cumhurbaşkanı Erdoğan kabul etmedi, Bolton Türkiye'den ayrılıyor. 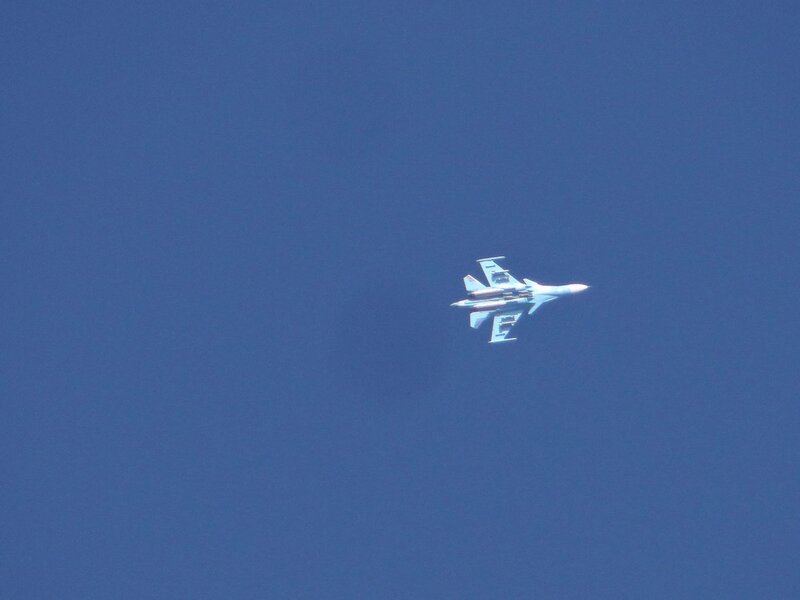 Pro-Assad militias target with rockets the surrounding of Hobit village in Idlib countryside. 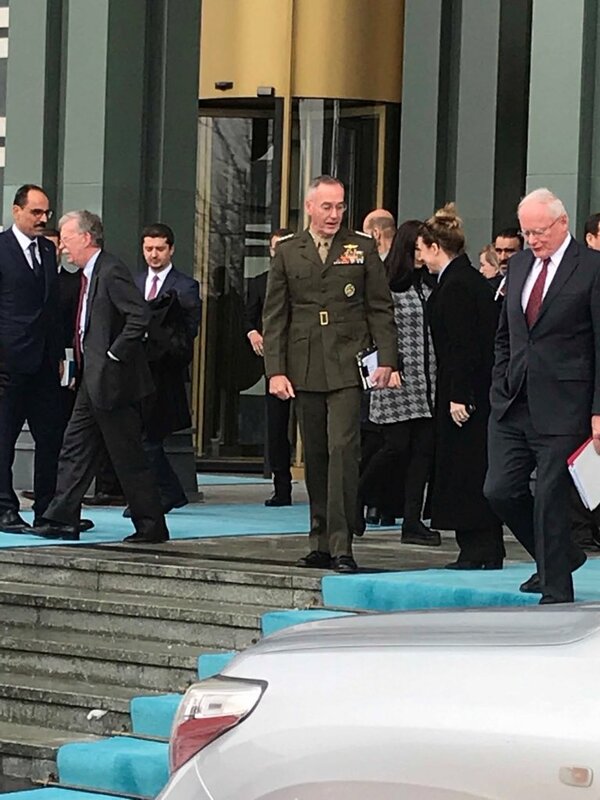 Senior delegations from the US and Turkey discussed recent developments in Syria and the FETO in a closed-door meeting in the Turkish capital of Ankara on Tuesday. 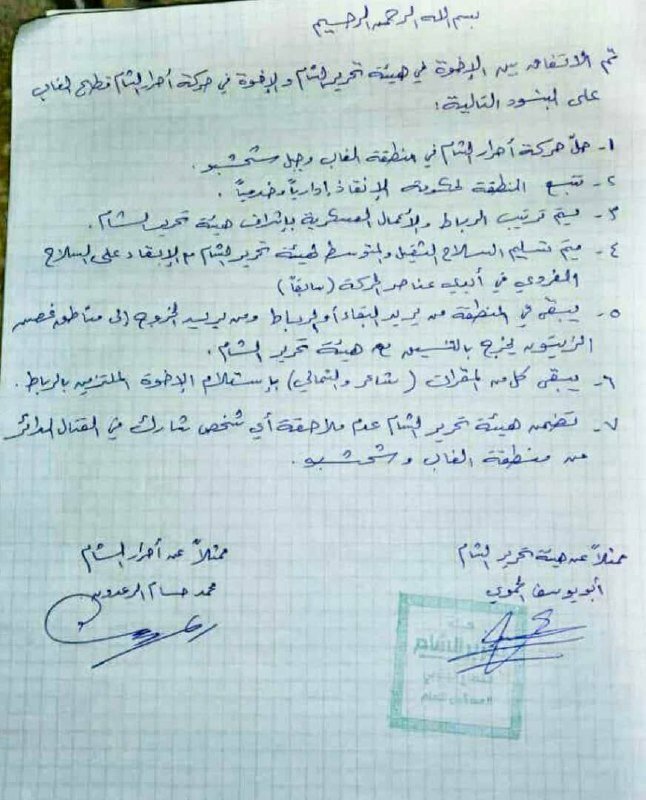 HTS captures 10 Ahrar militants on the axis of Karsa'a village, southern Idlib, and seizes a weapons warehouse. 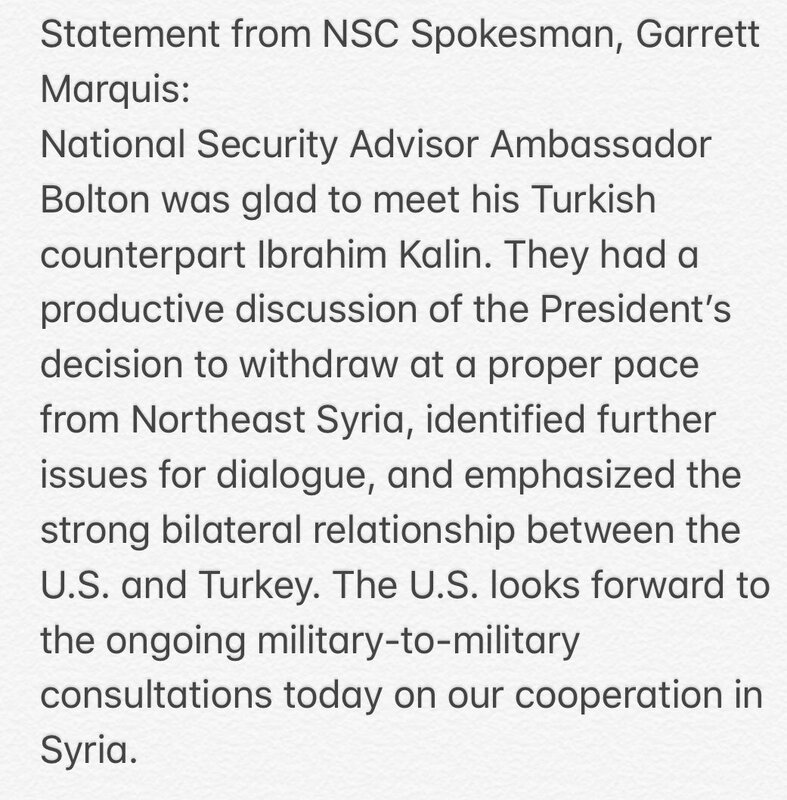 Statement on Ambassador Bolton's meeting with his Turkish counterpart Ibrahim Kalin. Cumhurbaşkanı Erdoğan: "Suriye'de, Türkiye'nin Kürtleri hedef aldığı yalanı en alçak, onursuz, en çirkin, en bayağı iftiradır." 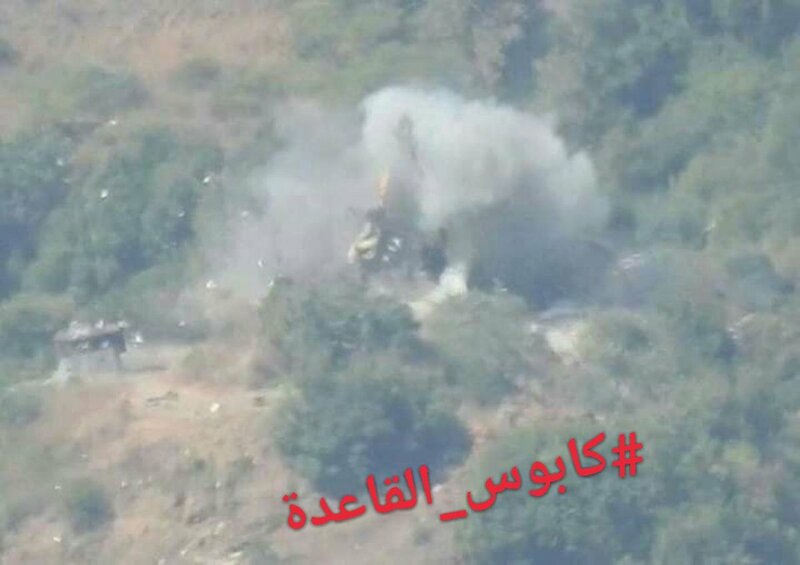 Pro-Assad government forces bomb outskirts of Latamina town in Hama countryside with tank shells from it's checkpoints in al-Masasna. 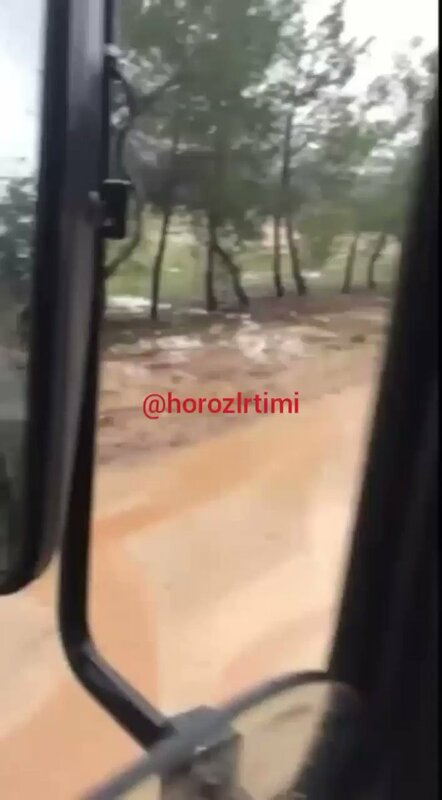 Idlib: Alleged footage of an HTS convoy heading to Maarat al-Nouman. 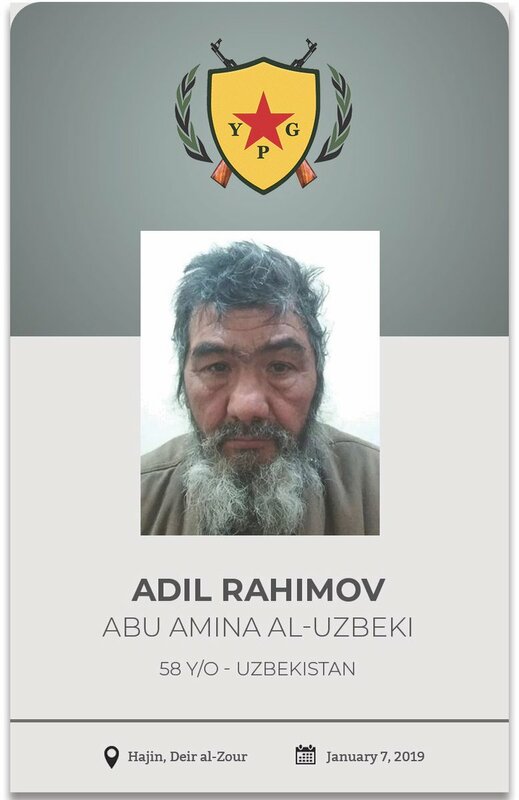 HTS captured Abdin village after NLF left it. 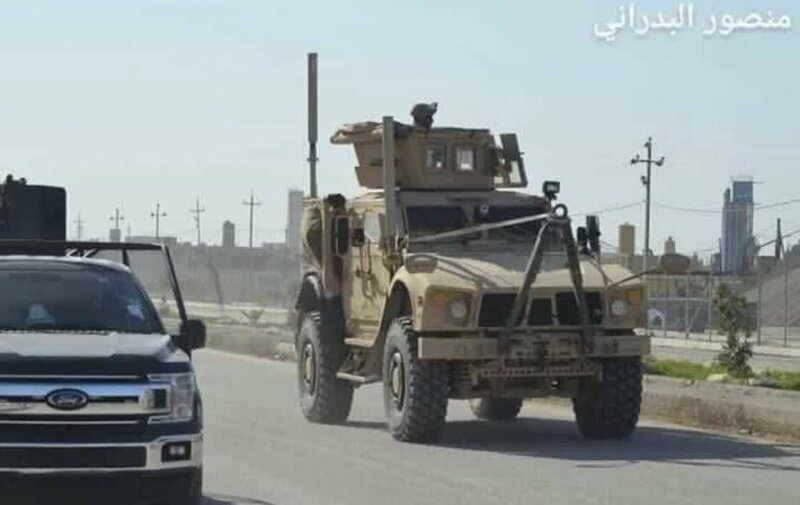 U.S.-led coalition pounds village held by Islamic State group in last area controlled by militants in eastern Syria.